…has been downloaded to Kindle and should be available within 12 hours! We thank our readers for their patience and as promised we have a surprise for you! Until January 31, 1915, Beloved Woman will be available at a special introductory price of .99! But wait! There’s more! Moonfixer will also be priced at .99 during this time and Whistling Woman, too, of course, has alway been .99. 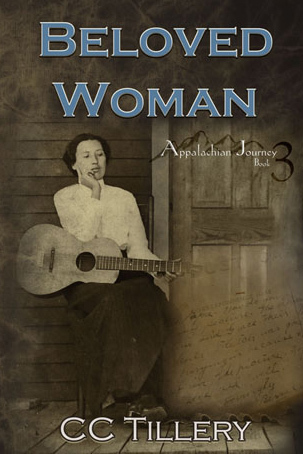 That means you can get the all three books in the Appalachian Journey series for under $3.00! Woo-hoo! Happy dances all around! Seriously though, we are so grateful to our readers for their patience and apologize again for not making our original deadline. If you follow the Appalachian Journey Facebook page, you know we had a bit of a snag last week while we were in Florida doing the final edits. After a lot of debate and discussion, however, we decided to follow our heart and go with the book as it was originally written…and while we hope we haven’t offended anybody by telling the truth as we heard it, we also hope everybody enjoys reading the book as much as we enjoyed writing it. Okay, that’s it, time to turn our brains off for a while and get some much-needed rest! Next up, the print version! Is there a Polly Tillery, who lived in Hot Springs, NC during the mid 1800’s in your ancestors? Hi, Jo. Tillery is our maiden name and though we’ve tried to research them, we haven’t had much luck. Daddy’s father was named Ed Tillery and I think he was from SC–but don’t quote me on that. Next time I talk to Daddy, I’ll be sure and ask him. I do know there are numerous Tillerys in the Hot Springs, NC area because we met quite a few of them at signings we’ve done there. We thought it was interesting that the first book, Whistling Woman, was set in Hot Springs and there’s a whole branch of what might be our family up there! Its also interesting that you’re a Henderson. Our great-great grandmother (Bessie’s mother) was a Henderson before she married our great-great grandfather, John Daniels. Her name was Lucinda and she had seven sisters and brothers, mothers name was Elizabeth and father was Len. Sorry I couldn’t be of more help! I will download it today to my iPad. I am excited! Hi, wakingofthebear. We’re still waiting…I’ve emailed KDP to find out what the hold-up is and got a reply that they had received my message and will get back to me in 24hrs. I nearly cried when I read that! Hopefully, before that 24hrs is up KDP will release the book! Anxiously waiting for it to show up on Amazon. So are we, PB! Fingers, toes, and eyes crossed that KDP will release it soon! I was so excited to see you would have Beloved Woman ready to purchase in 12 hours, but gosh I guess the day wasnt clarified by Amazon. I read the post above where you wrote:”I’ve emailed KDP to find out what the hold-up is and got a reply that they had received my message and will get back to me in 24hrs.” that was 2 days ago, have you any new news when we can download the kindle version? Eagerly awaiting, thanks. Thank you so much for your interest. We hope you enjoy it!